Abstract: Nearly since the beginning, the ISMIR and MIREX communities have promoted rigor in experimentation through the creation of datasets and the practice of statistical hypothesis testing to determine the reliability of the improvements observed with those datasets. In fact, MIR researchers have adopted a certain way of going about statistical testing, namely non-parametric approaches like the Friedman test and multiple comparisons corrections like Tukey’s. In a way, they have become a standard of reporting and judging results for researchers, reviewers, committees, journal editors, etc. It is nowadays more frequent to require statistically significant improvements over a baseline with a well-established dataset. But hypothesis testing can be very misleading if not well understood. To many researchers, especially newcomers, even the simpler analyses and tests are seen as a black box where one puts performance scores and gets a p-value which, as they are told, must be smaller than 0.05. Therefore, significance tests are in part responsible of determining what gets published, what research lines to follow, and what project to fund, so it is very important to understand what they really mean and how they should be carried out and interpreted. We will also focus on experimental validity, and will show how a lack of internal or external validity, even if experiments are reliable and repeatable and hypothesis testing is done correctly, can render even your best results invalid. Problems discussed include adversarial examples or the lack of inter-rater agreement when annotating ground truth data. The goal of this tutorial is to help MIR researchers and developers get a better understanding of how these statistical methods work and how they should be interpreted. Starting from the very beginning of the evaluation process, it will show that statistical analysis is always required, but that too much focus on it, or the incorrect approach, is just harmful. The tutorial will attempt to provide better insight into statistical analysis of results, present better solutions and guidelines, and point the attendees to the larger but ignored problems of evaluation and reproducibility in MIR. The work presented in this tutorial was supported by the Vienna Science and Technology Fund (WWTF, project MA14-018). The work presented in this tutorial was supported by the European Commission H2020 project TROMPA (770376-2). Julián Urbano is an Assistant Professor at Delft University of Technology, The Netherlands. His research is primarily concerned with evaluation in IR, working in both the music and text domains. 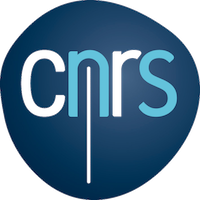 Current topics of interest are the application of statistical methods for the construction of datasets, the reliability of evaluation experiments, statistical significance testing for IR, low-cost evaluation and stochastic simulation for evaluation. He has published over 50 research papers in related venues like Foundations and Trends in IR, the IR Journal, the Journal of Multimedia IR, ISMIR, CMMR, ACM SIGIR, ACM CIKM and ECIR, winning two best paper awards and a best reviewer award. 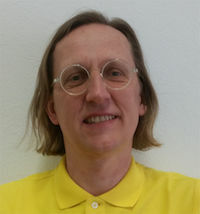 He has been active in the ISMIR community since 2010, both as author and PC member, and is also co-organizer of the MediaEval AcousticBrainz task. He is reviewer for other conferences and journals, such as ACM CIKM, HCOMP, IEEE TASLP, IEEE MM, ACM TWEB, IEEE TKDE or the Information Sciences journal. Arthur Flexer is a senior researcher, project manager and vice-head at the `Intelligent Music Processing and Machine Learning Group’ of the Austrian Research Institute for Artificial Intelligence (OFAI). He has twenty-five years of experience in basic research on machine learning with an emphasis on applications to music in the last twelve years. He holds a PhD in psychology which provides him with the necessary background concerning design and evaluation of experiments. He has published comprehensively on the role of experiments and on problems of ground truth and inter-rater agreement, all in the field of MIR. He is author and co-author of more than 80 peer-reviewed articles. 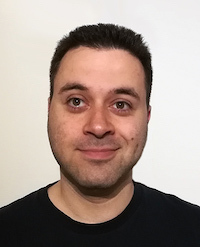 He has been active in the ISMIR community since 2005 and has also published in related venues like DAFx, SMC, ECIR, Journal of Machine Learning Research and Journal of New Music Research. He is a member of the editorial board of the Transactions of the International Society for Music Information Retrieval (TISMIR).